Don’t interfere with anything in the Constitution. 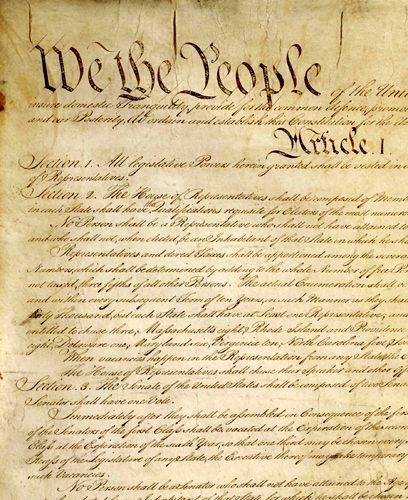 Created by our Forefathers, the United States Constitution and the Bill Of Rights are what make the United States a leader of free men and women, and a beacon of hope to all those oppressed throughout the world. Almost eleven years after the Declaration of Independence, in May of 1787, the Federal Convention convened in Philadelphia to revise the Articles of Confederation. After much debate, it became clear by mid-June that instead of amending the existing Articles, the Convention would draft a new frame of government. 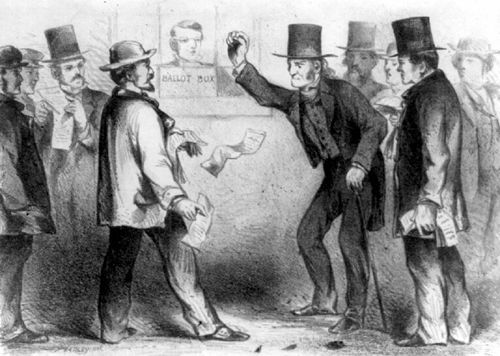 Their work stands as a shining example of cooperative statesmanship and compromise. Among the important points at issue were how much power to allow the central government, how to determine the number of representatives for each state, and how those representatives would be elected. 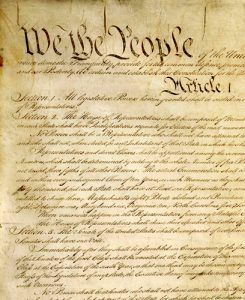 Thanks to the U.S. National Archives and Records Administration, here is the full, original text of the Constitution of the United States, including what some may see as misspellings, but were actually part of the original document. Note: Items in italics have since been amended or superseded. See Bill of Rights for Amendments. When vacancies happen in the Representation from any State, the Executive Authority thereof shall issue Writs of Election to fill such Vacancies. The House of Representatives shall chuse their Speaker and other Officers; and shall have the sole Power of Impeachment. Section. 3. 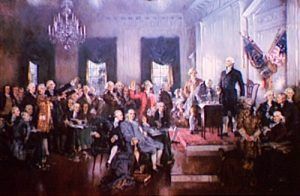 The Senate of the United States shall be composed of two Senators from each State, chosen by the Legislature thereof for six Years; and each Senator shall have one Vote. The Senate shall chuse their other Officers, and also a President pro tempore, in the Absence of the Vice President, or when he shall exercise the Office of President of the United States. The Senate shall have the sole Power to try all Impeachments. When sitting for that Purpose, they shall be on Oath or Affirmation. When the President of the United States is tried, the Chief Justice shall preside: And no Person shall be convicted without the Concurrence of two thirds of the Members present.